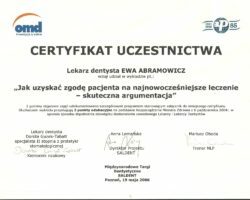 THE MEDICUS DENTISTRY AND AESTHETIC MEDICINE CENTER was established for Patients who wish to achieve a beautiful smile in comfortable conditions and within a relatively short time. 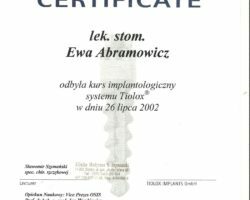 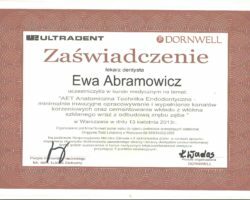 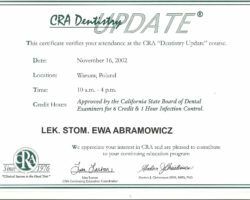 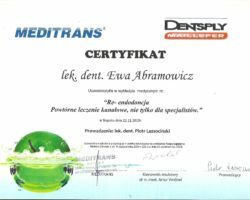 Since its inception in the year 2000 the company has been managed by general dentistry specialist Ewa Abramowicz, who is also the company’s owner. 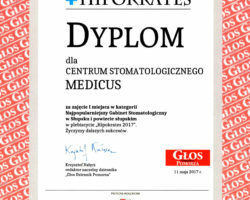 Since the very beginning it was our priority to make the MEDICUS clinic the leading center in the region. 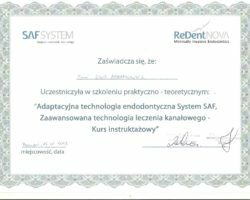 We owe our successes primarily to the enthusiasm of our highly regarded specialists who offer interdisciplinary treatments in the area of implantology, aesthetic dentistry, prosthetics, surgery, endodontics, as well as conservative dentistry. 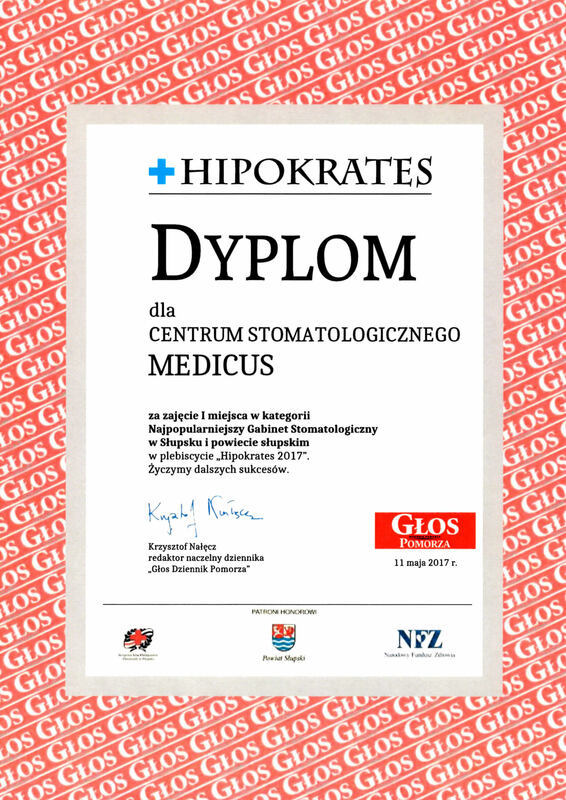 In their everyday work our doctors utilize modern diagnostic techniques and the best available materials. 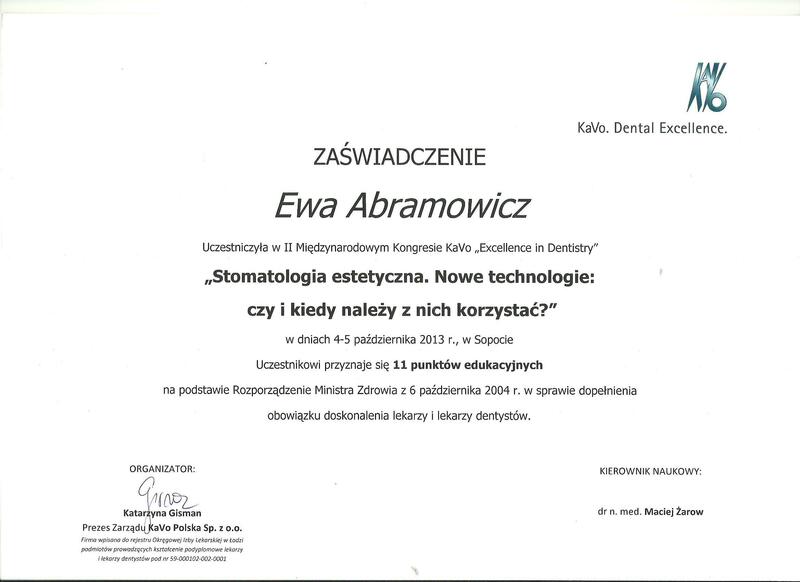 We are able to meet the requirements of the most demanding Patients thanks to our Fotona Light Walker dentistry laser. 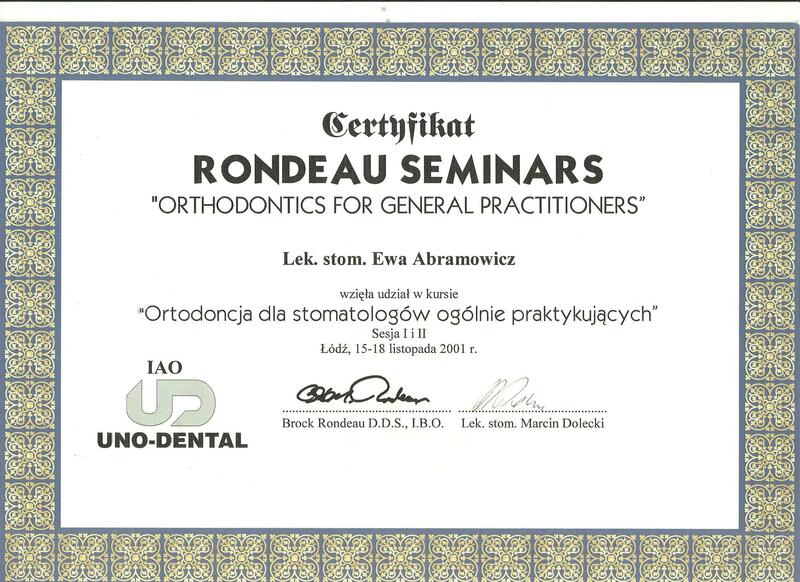 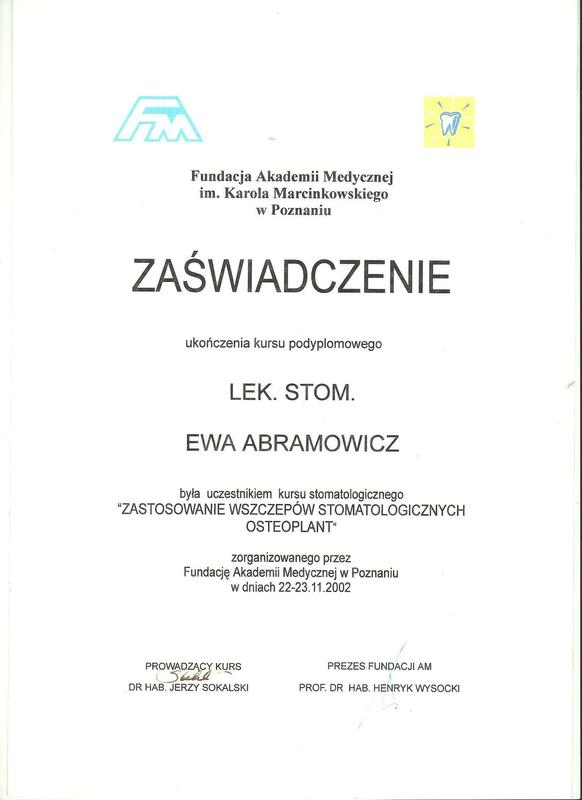 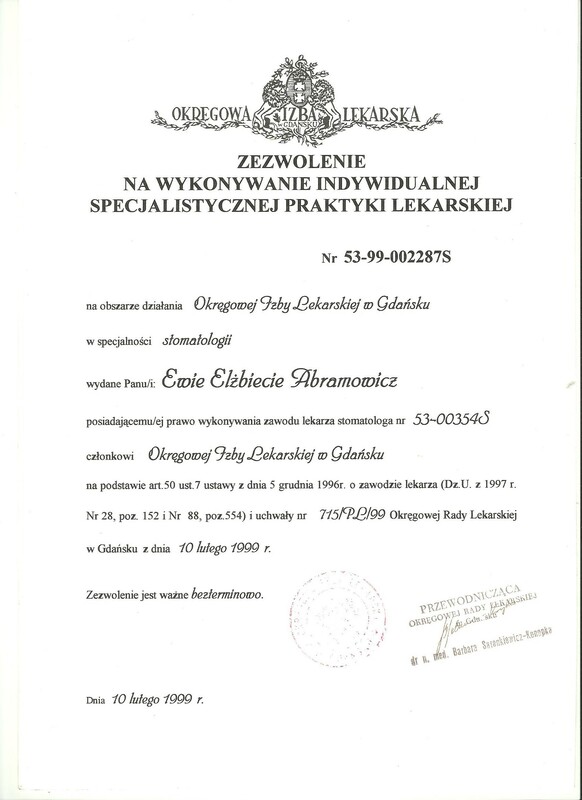 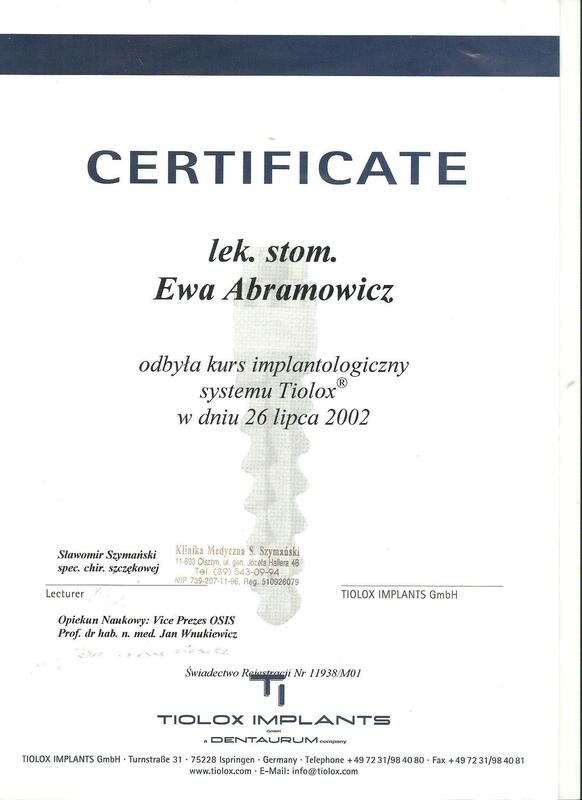 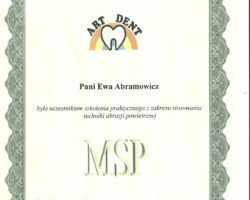 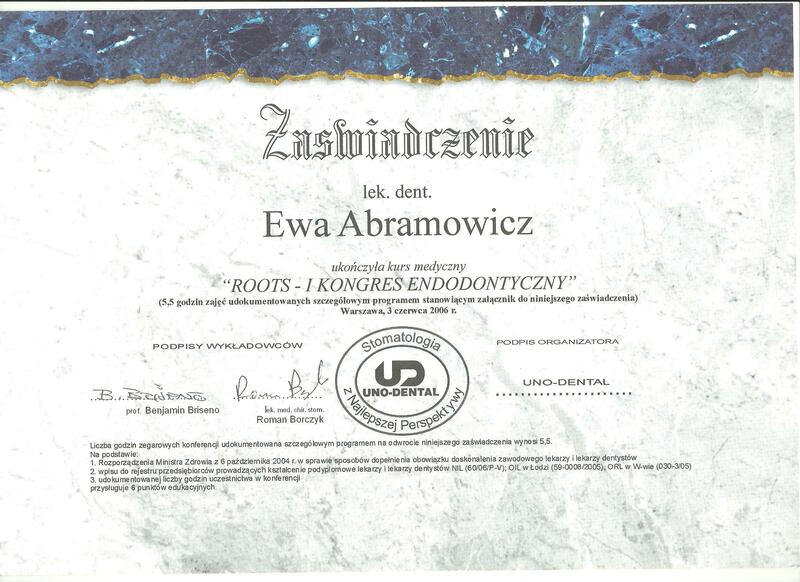 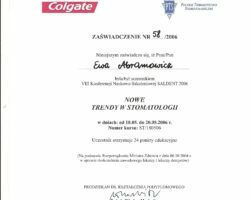 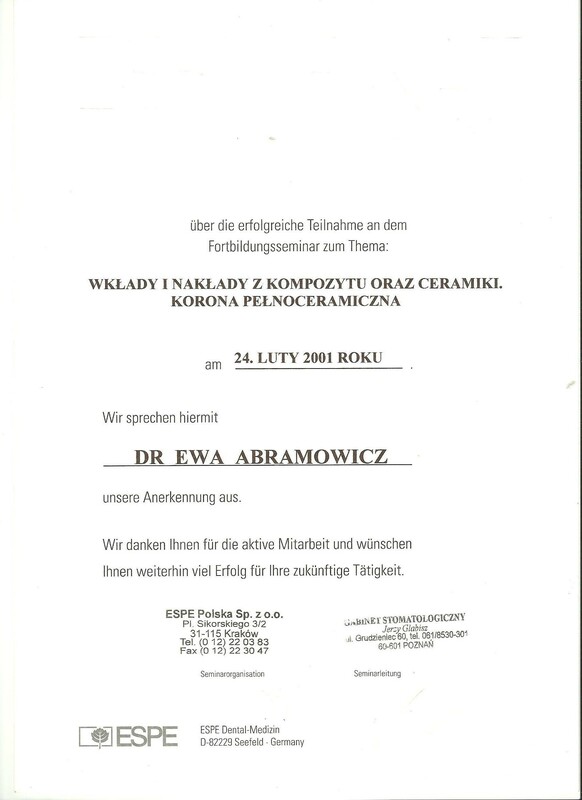 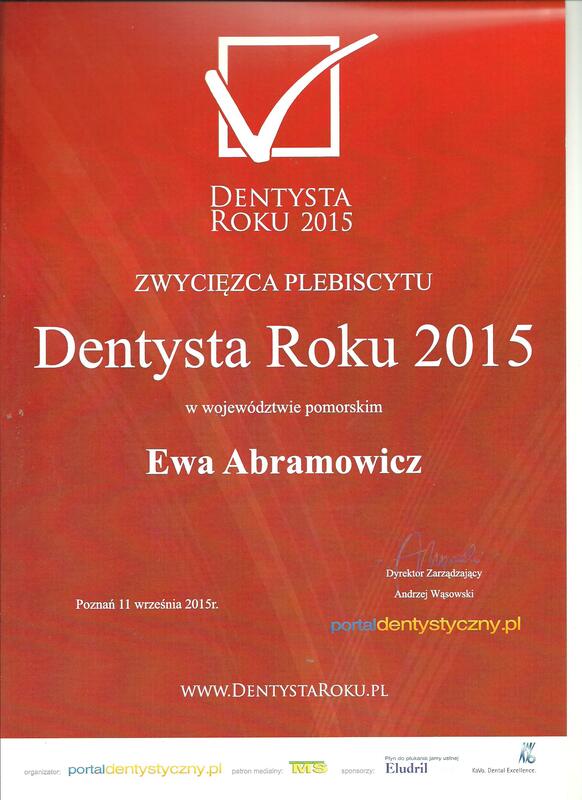 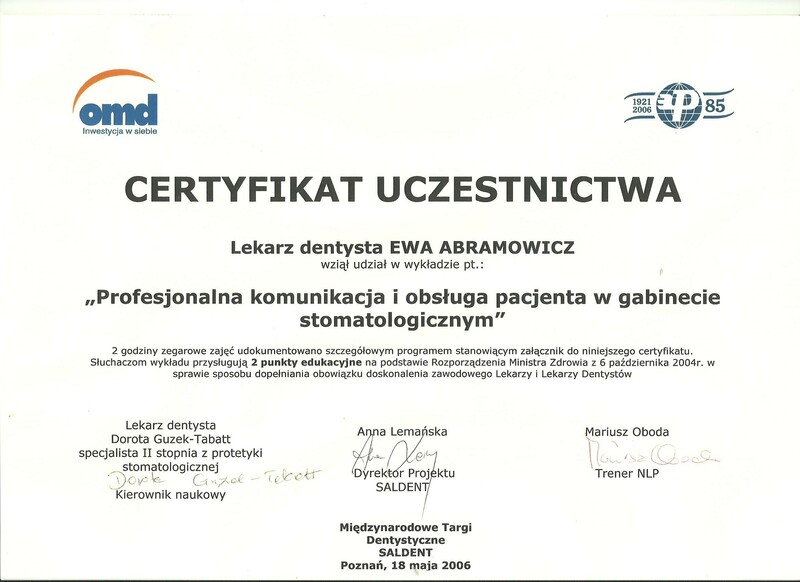 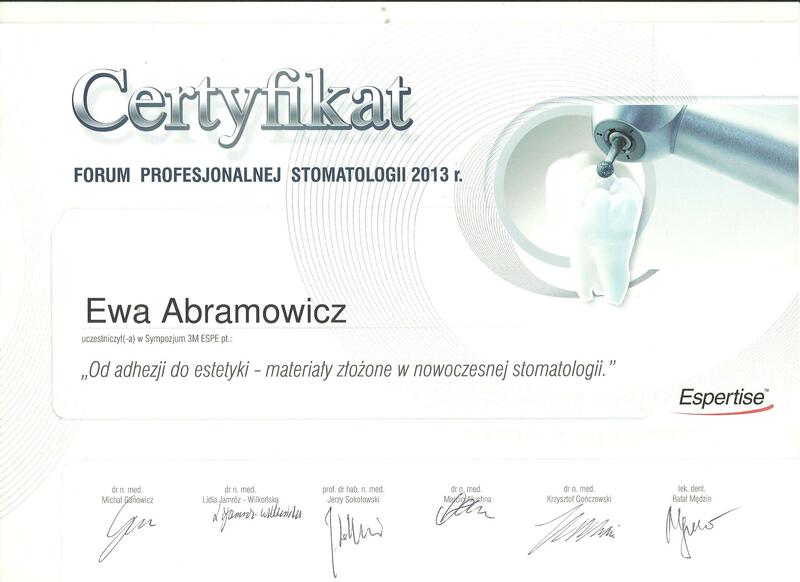 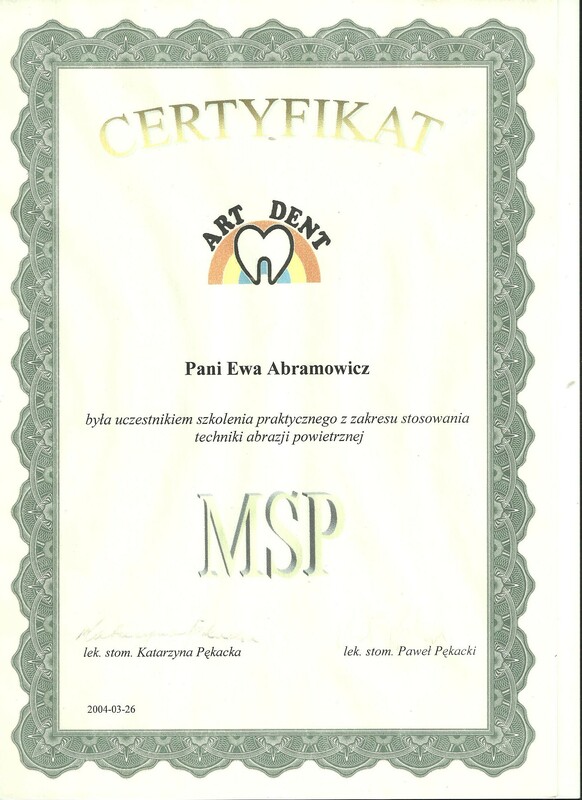 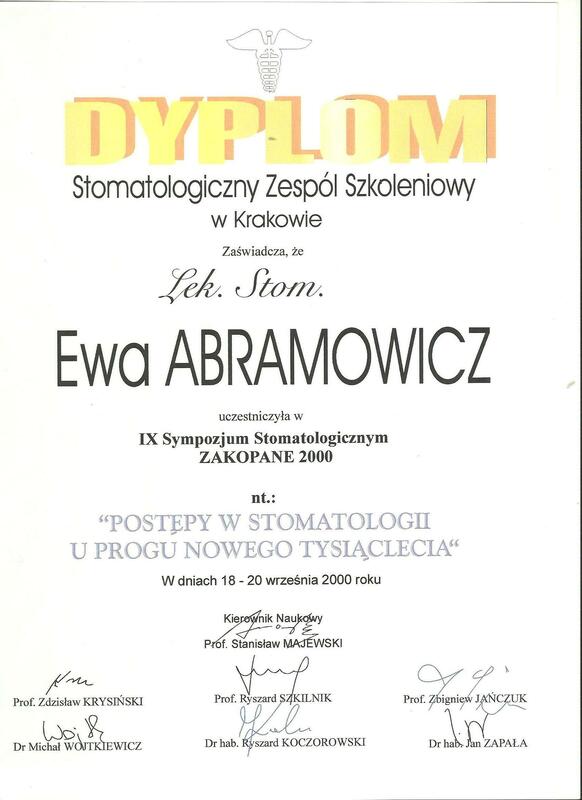 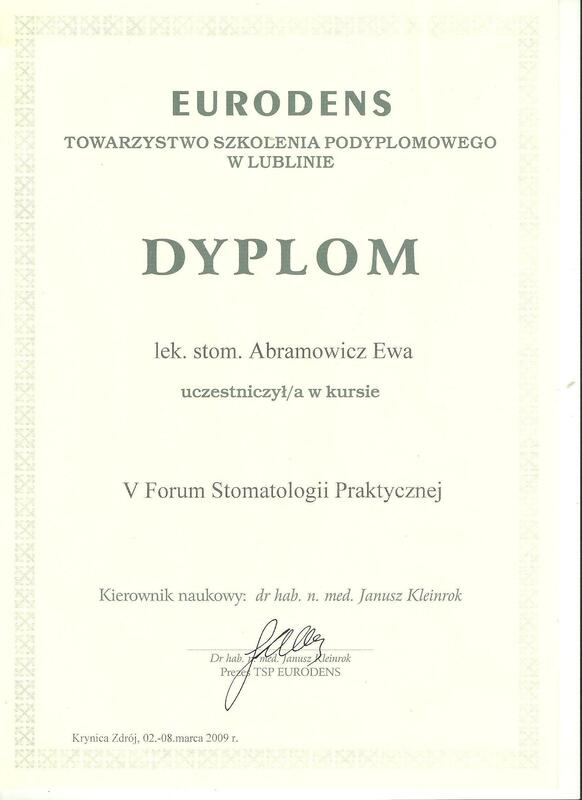 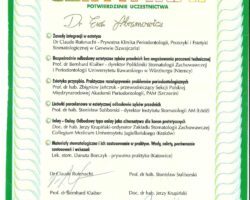 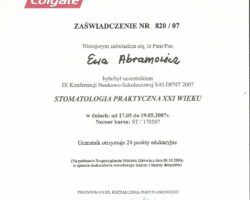 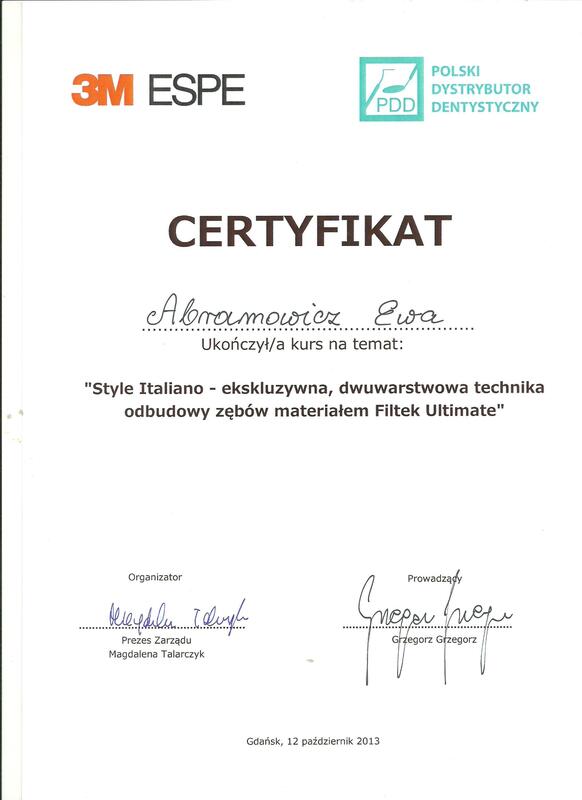 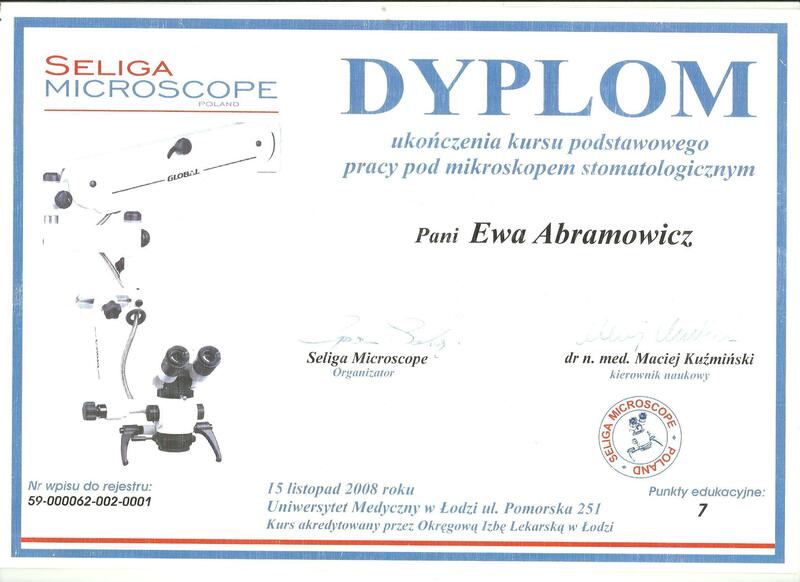 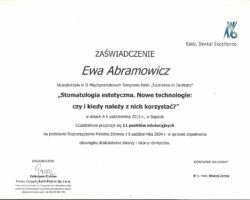 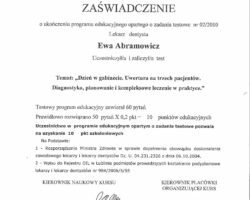 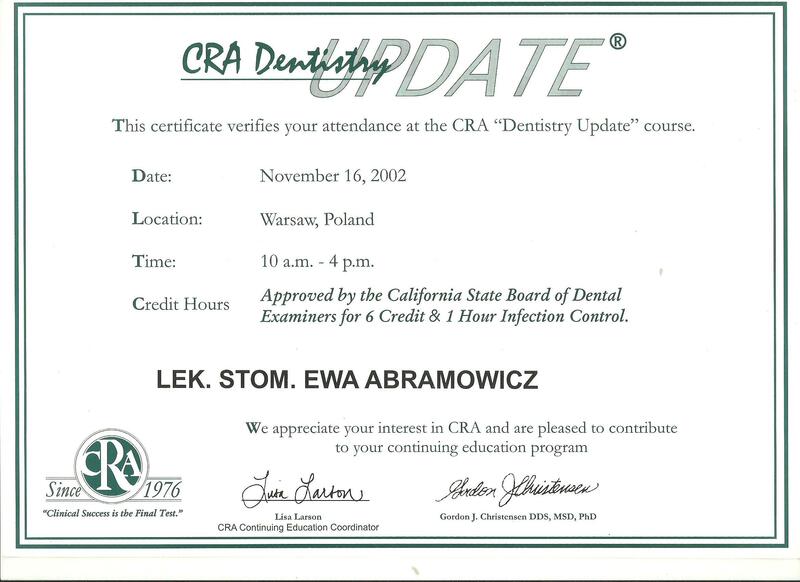 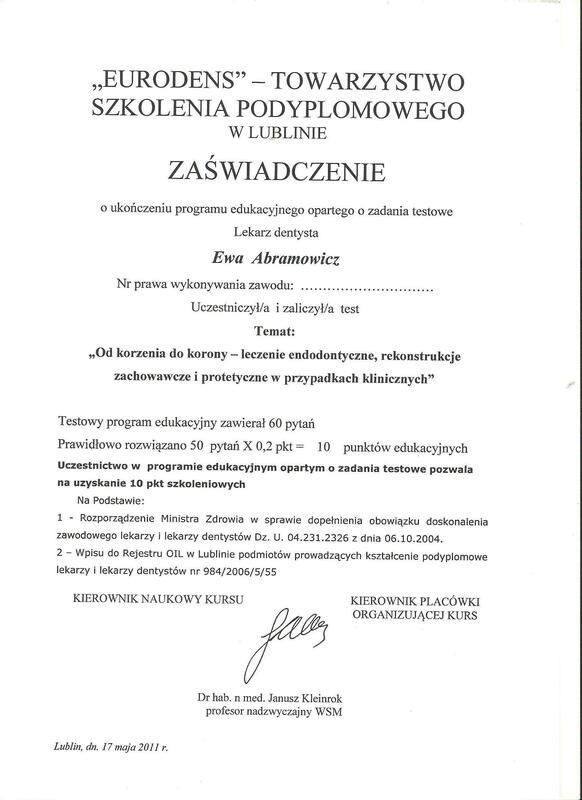 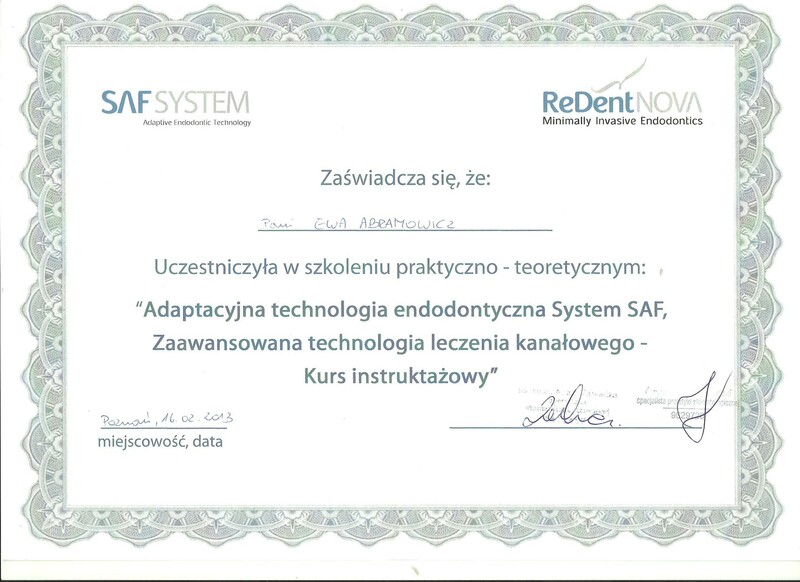 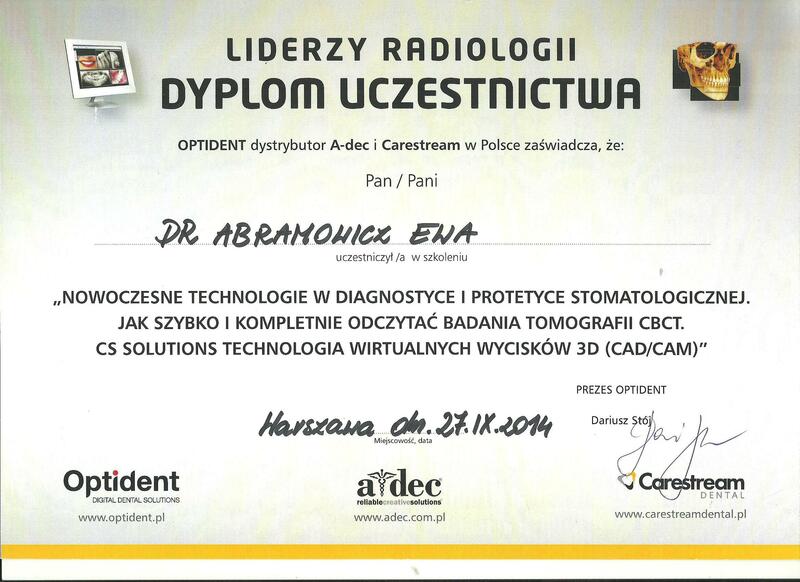 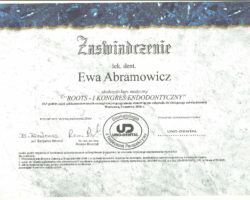 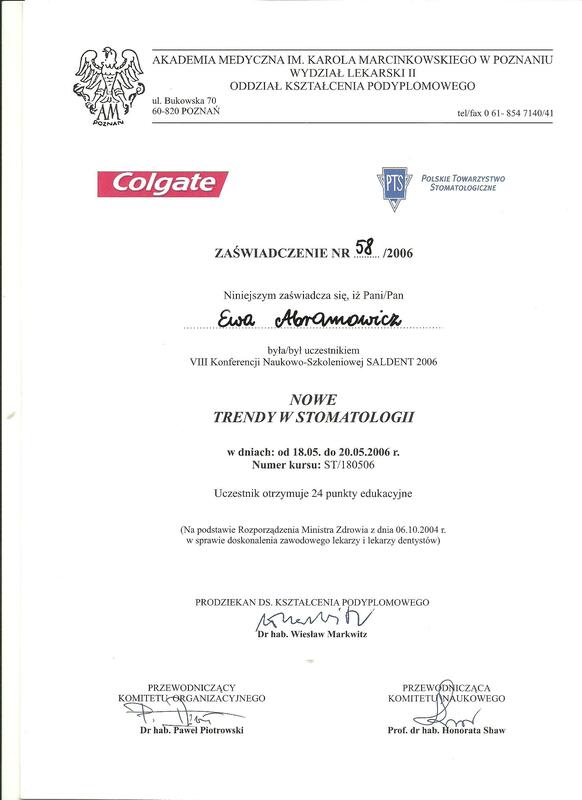 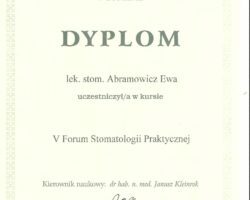 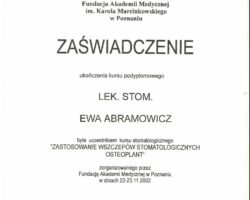 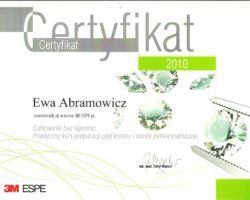 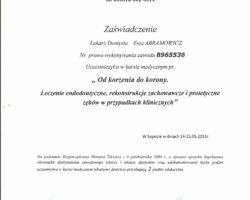 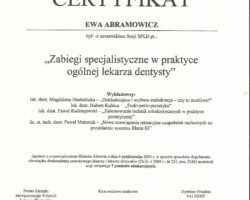 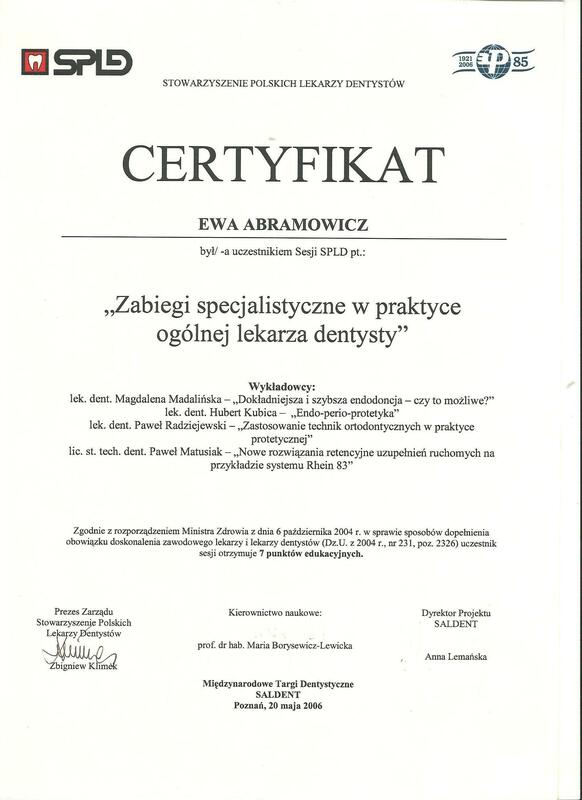 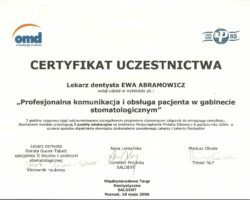 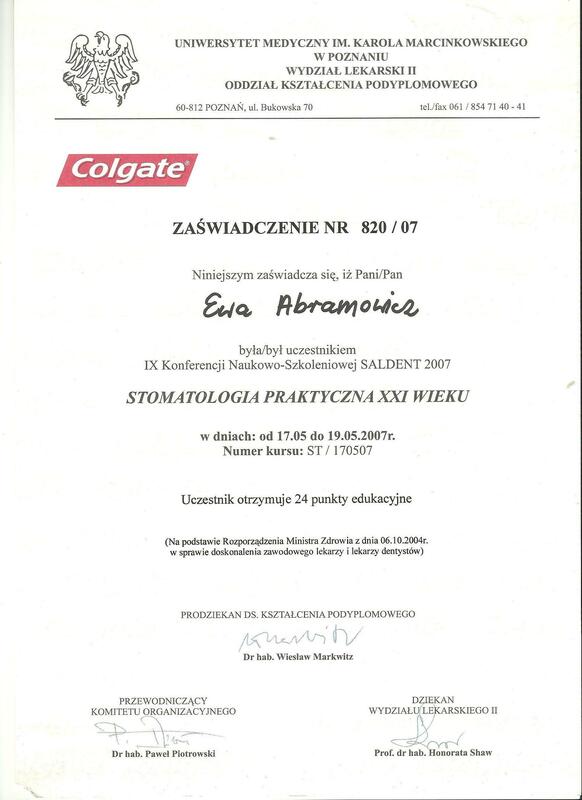 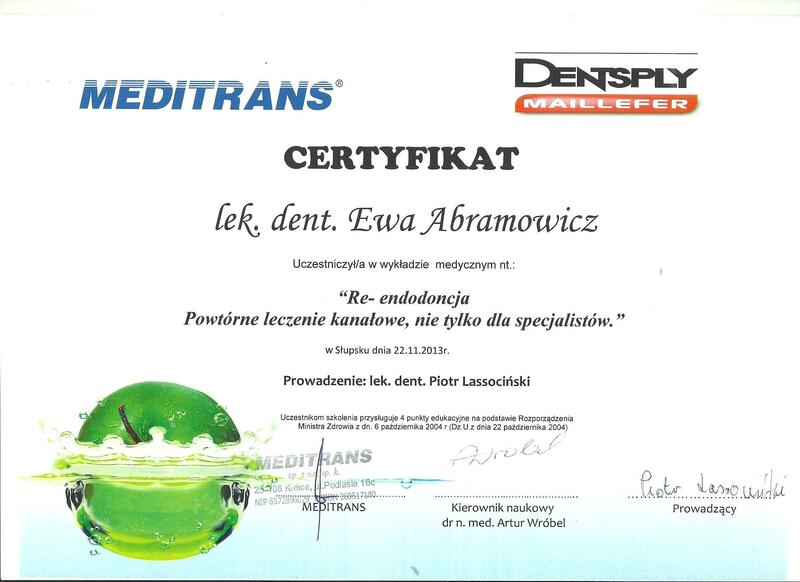 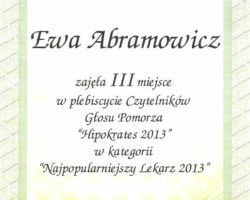 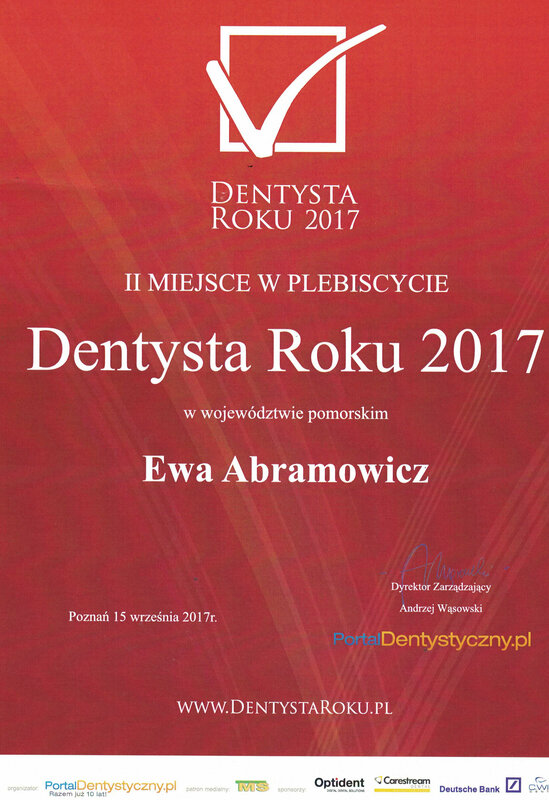 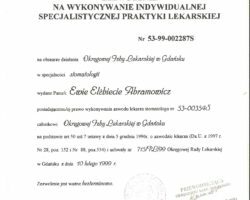 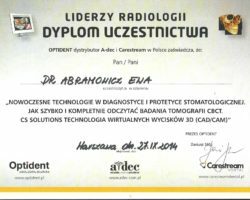 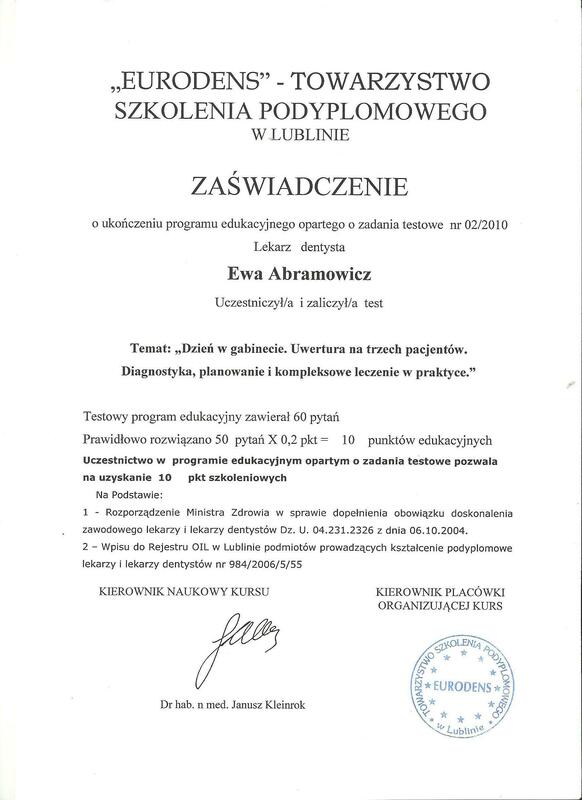 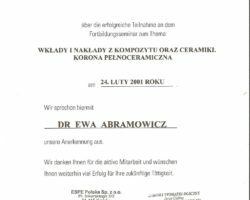 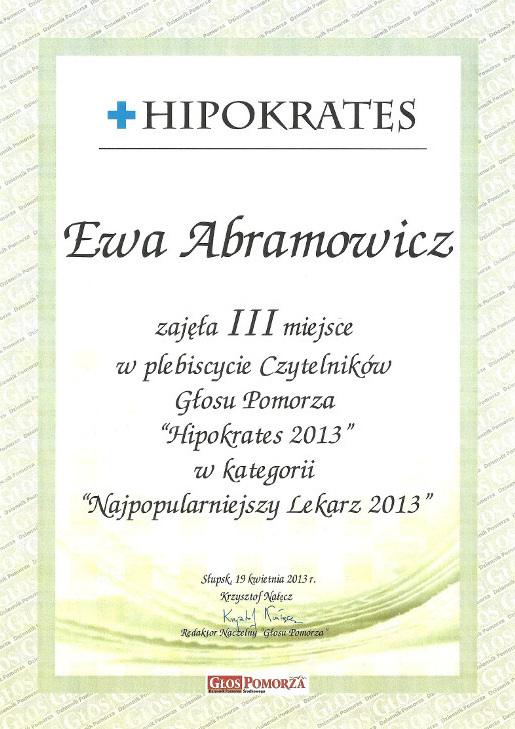 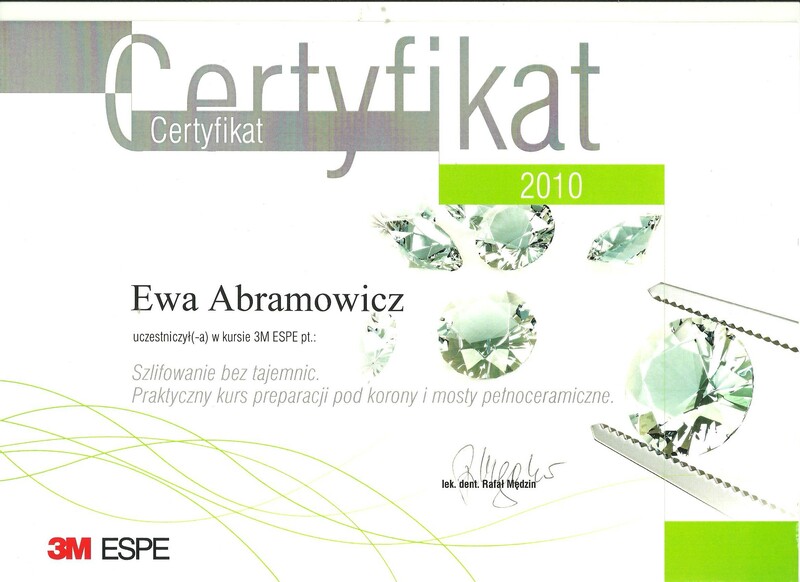 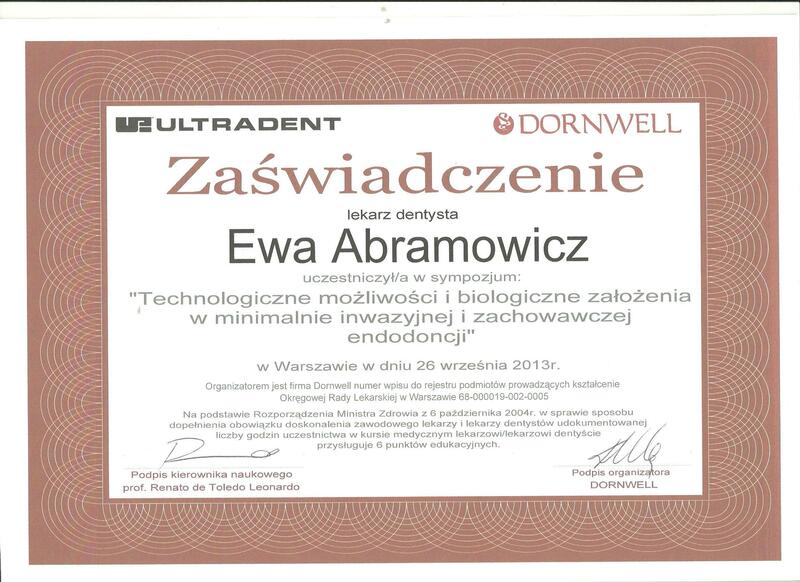 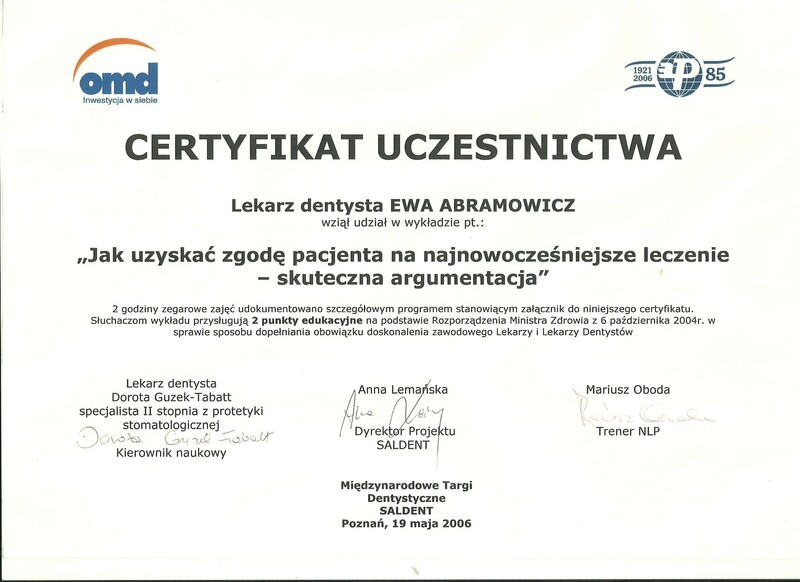 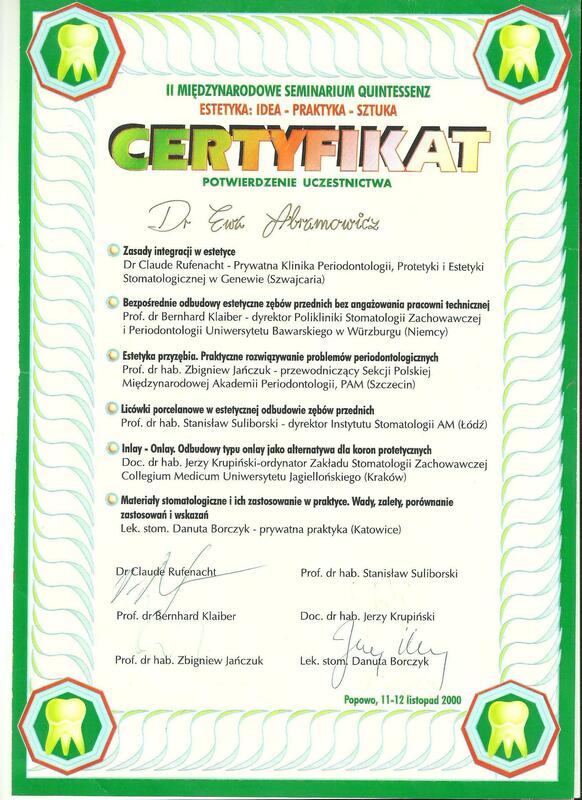 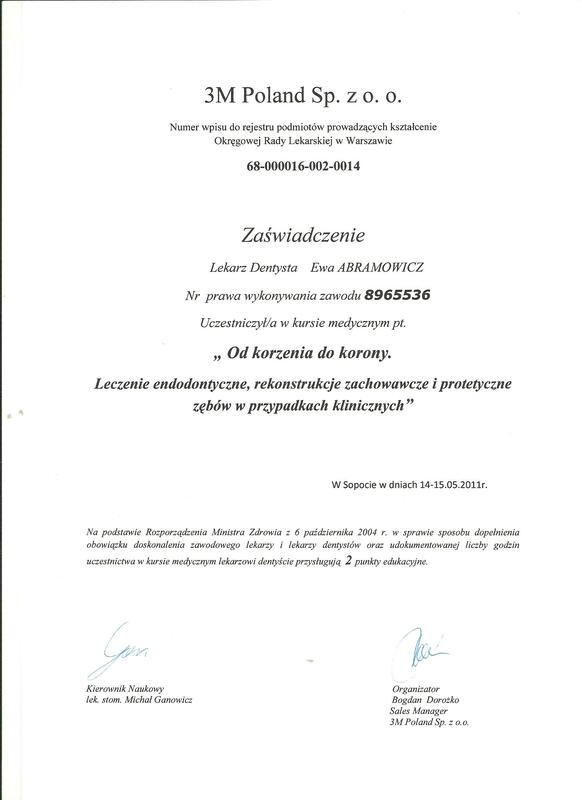 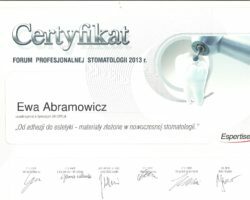 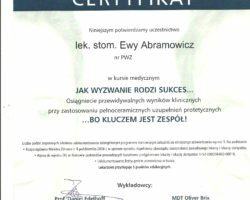 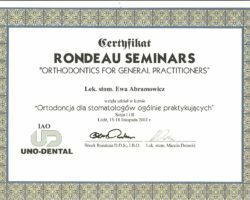 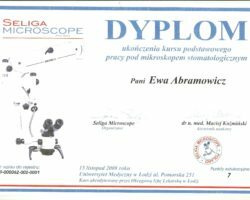 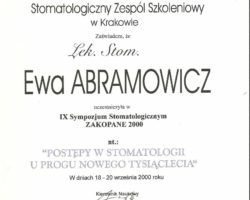 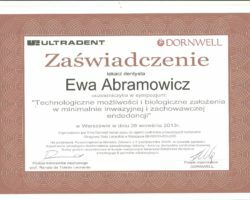 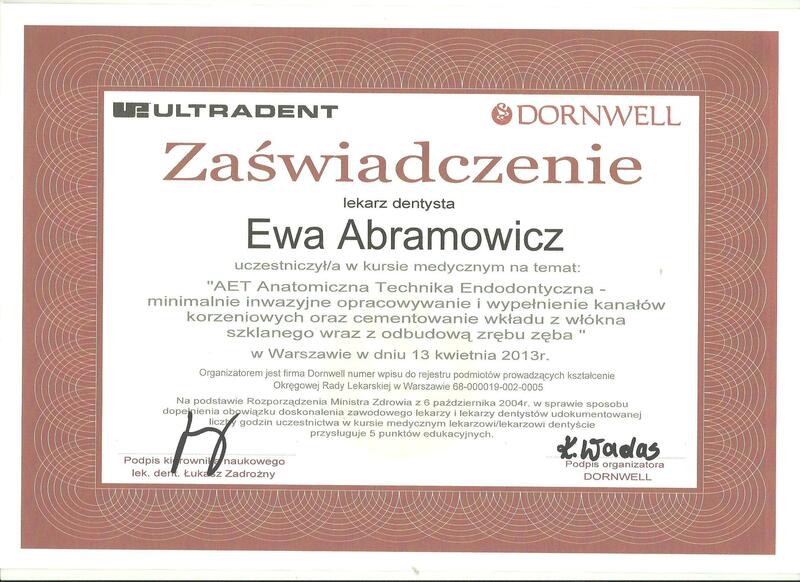 Our professionalism is appreciated by Patients every year in regional Hippocrates plebiscites, which have ranked us at the highest positions in subsequent years from 2014 to 2017 in the categories of best clinic, as well as Dentist of the Year – an award of individual recognition for Dr. Ewa Abramowicz – throughout the recent three editions.